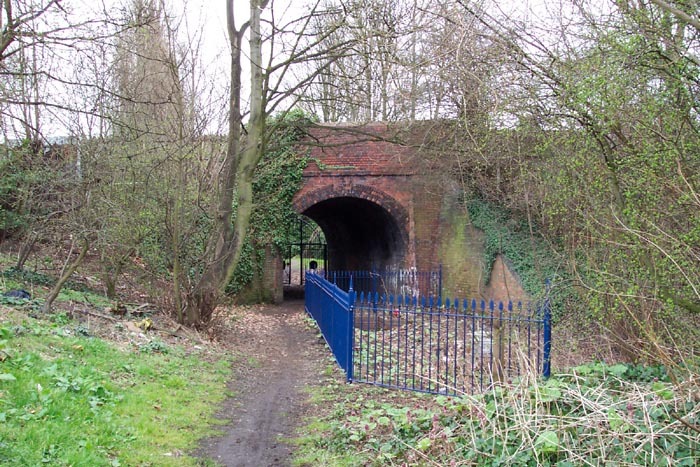 Rotton Park Road station opened on the Harborne Railway in 1874 as one of only four stations on the short line before it joined the main line into New Street and stopping then at Monument Lane station. The line suffered heavily with timetabling problems due to its trains having to wait for a gap in the main line traffic at Harborne Junction, just before Monument Lane, in order to complete their journey into New Street. This problem, and the ageing rolling stock and locos used, led to the service being dubbed 'the Harborne Express' as what was a short journey could take over 30 minutes to complete. Competition from bus and tram operators was a much speedier option and effectively killed-off the passenger side of the railway resulting in the closure of Rotton Park Road, and the other stations, to passengers in 1934. 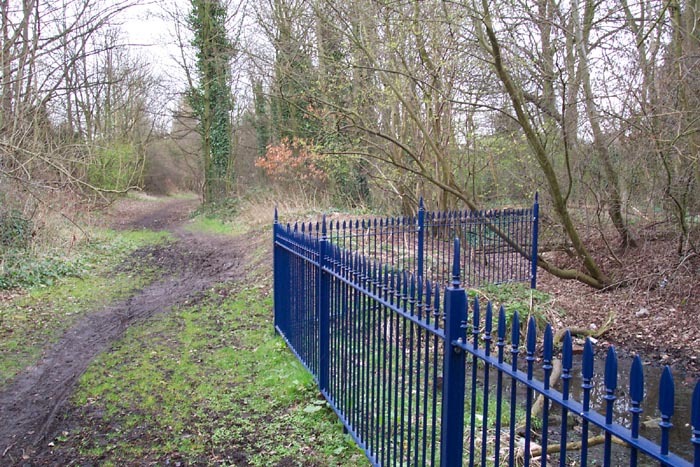 Whilst the line lived-on until 1963 for goods traffic, Rotton Park was quickly demolished and all that remained was the passing loop, the only one on the railway, and the remains of the island platform. Above we see the substantial station building sitting on the island platform in a photograph taken from the wooden footbridge which provided access to it from Rotton Park Road (photo: W.A.Camwell) in 1934. 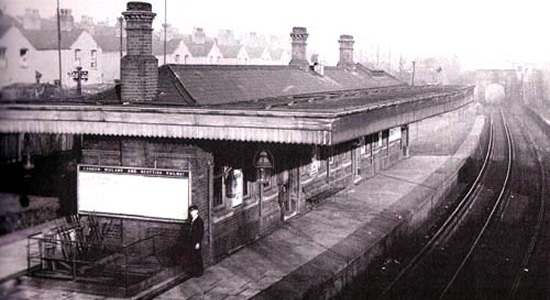 The station was then under LMS operation having previously been in the position of being owned by the Harborne Railway but staffed and equipped by the LNWR. Note the ground frame in the foreground. Above-left we are standing on Rotton Park Road looking at the entrance site to the station in the direction of New Street station. 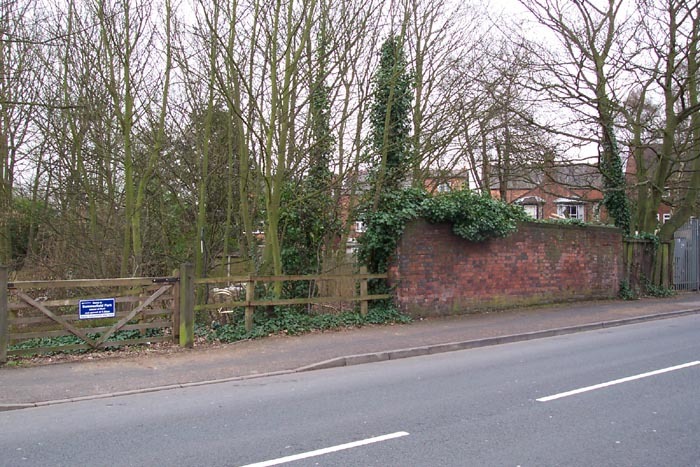 Above-right we have crossed the road and passed through the gate which now provides access to the trackbed which is now part of the Harborne Nature Walk. We are looking down the pathway to the trackbed: the wooden footbridge would have been to the right of us in this position. 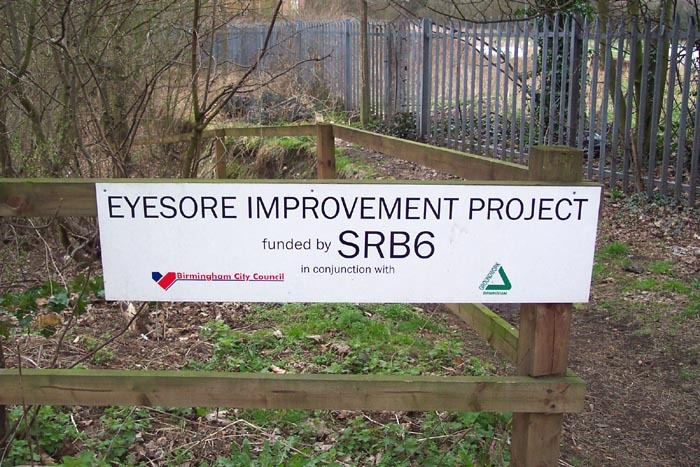 Above-left we are standing in the mouth of Rotton Park Road bridge looking to the site of the station in the direction of New Street. The entrance pathway from which we have descended is to the left. 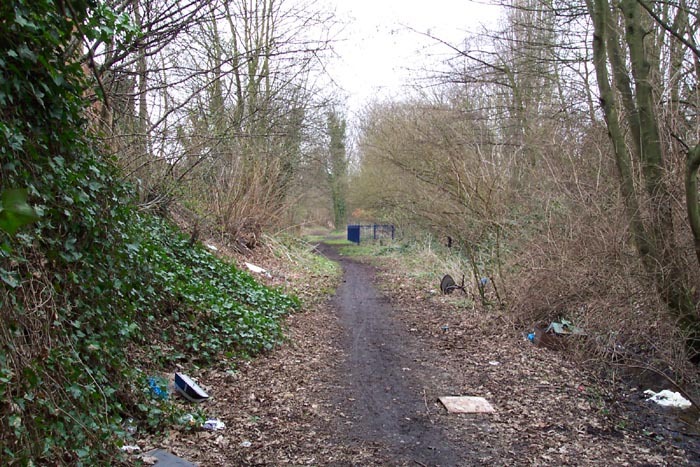 It is important to note that the trackbed has been considerably raised here which makes identifying the exact shape of the station impracticable, especially considering the amount of foliage that has sprung up since final closure of the line in 1964. 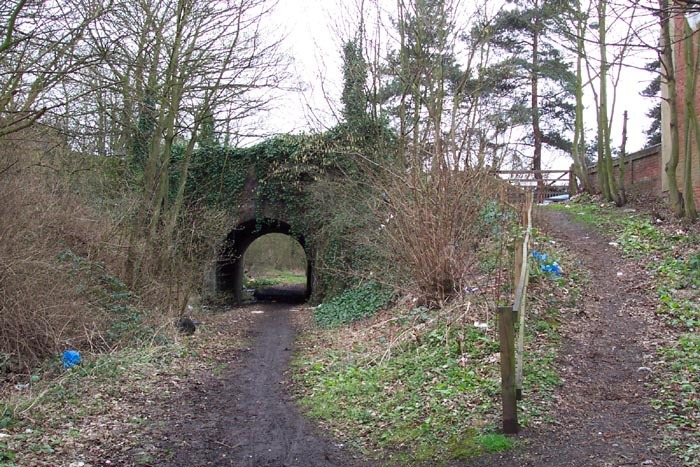 However, the view above-right is from the point at which the entrance pathway joins the trackbed - we are looking back at Rotton Park Road bridge. This spot is, I estimate, roughly around the area where the platform began. Above-left we have moved forwards from the last photograph and can make-out the top of the 'hump' left when the island platform was demolished with the lines running to the left and right of this perspective. Above-right we have moved forwards again towards the end of the platform, which would have been to our right in this shot watching the line run off towards Selwyn Road bridge - which can be seen in the distance in the photograph at the top of this page. Above-left is Selwyn Road bridge which, as can be seen in the 1934 photograph, marked the end of the station site. 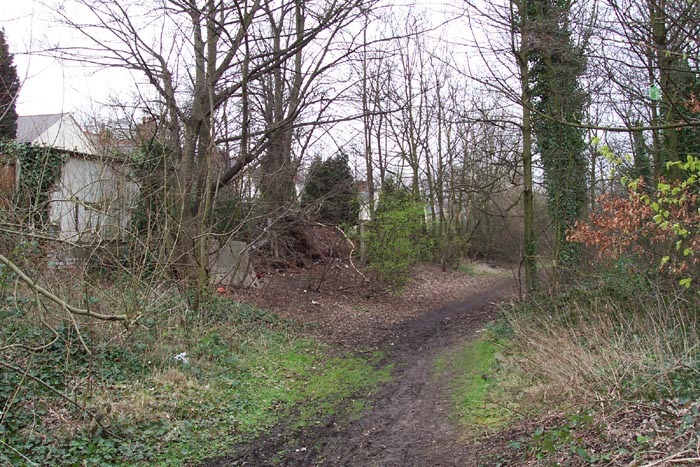 I have to confess to being a little disappointed with this site as it is too heavily overgrown and, with the trackbed raised and platform demolished, it is difficult to exactly get any bearings on the exact location of various points of the station. This has also led to the impression of the site being a lot smaller that it appears in the 1934 photograph as I'm sure you will agree. An additional problem here too is rubbish! When the line was closed local residents campaigned for a use to be found for the line as it was becoming a dumping ground, the line is now a nature walk and is still full of rubbish (a lot of which seems to have been dumped over the back garden fences of the neighbouring properties . . . allegedly). 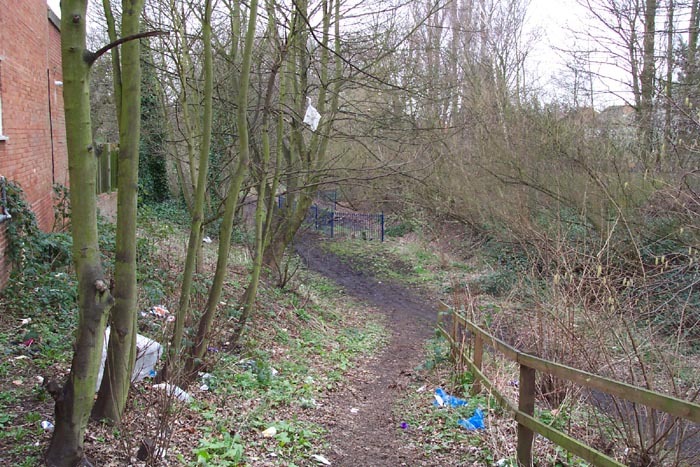 The photograph above-right is on the entrance to the trackbed the other side of Rotton Park Road bridge from the station and sums-up nicely my thoughts on this stretch of trackbed which is a real pity.